In 2011, the Waverly Community Foundation added two full-size sand volleyball courts located in the foundation-owned Jaycee Park south of the social hall facility. The Foundation hosts two adult sand volleyball leagues a year (a Spring/Summer league from May to July and a Summer/Fall league from July to September) as well as an occasional tournament. The courts are available to the public when not reserved for planned events. Light poles have been added to accommodate play when necessary during evening hours. Contact Lyn Heaton at (402) 580-2344 or waverlycommfoundation@gmail.com for more information or to inquire about use of the courts. The Waverly Community Foundation is very proud of the two ball fields that have become a highlight of the Foundation’s Jaycee Park adjacent to the Community Center social hall facility. The fields are available to the public when not reserved for planned events. The Foundation sponsors a men’s slow pitch softball league and tournament each summer. 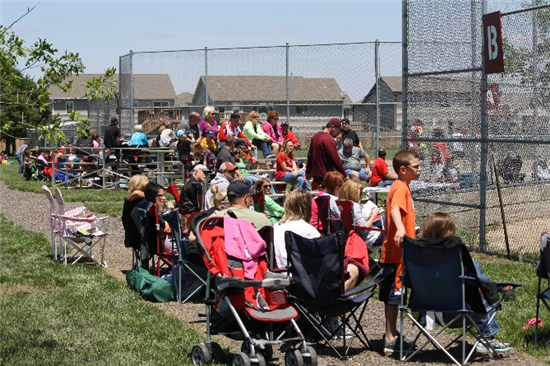 The two fields are also used regularly for youth baseball as well as adult and youth softball and provide a fantastic opportunity for kids and adults alike to play ball! Contact Lyn Heaton at (402) 580-2344 or waverlycommfoundation@gmail.com for more information or to inquire about use of the fields for your league or tournament.